I received a Kids Night In from Night In Boxes in order to facilitate this post. All opinions are my own. This post contains affiliate links. Happy Holidays, guys! 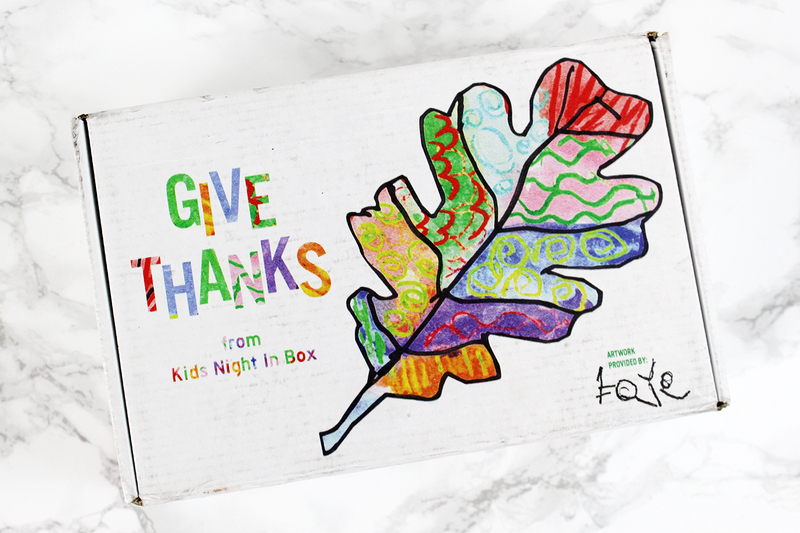 We had a great Thanksgiving, small but lovely, and then got our Kids Night In box a few days later for a little extra fun. 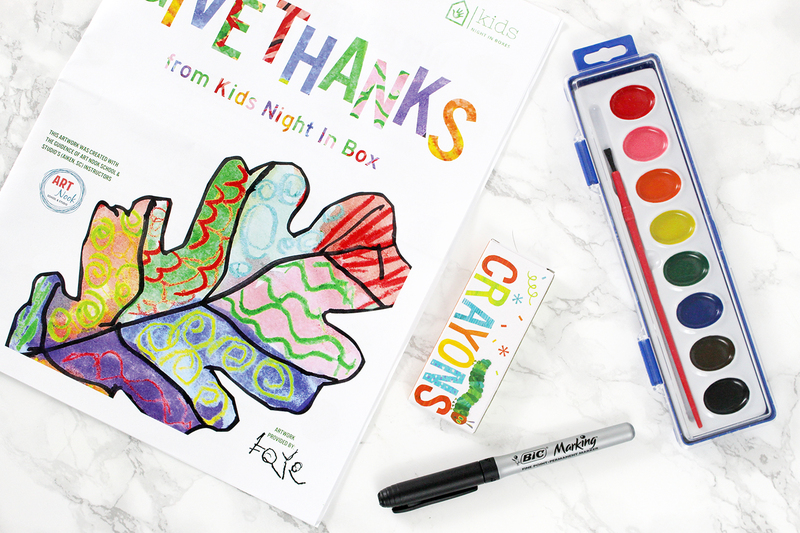 The theme for November was Give Thanks and it had lots of activities to keep the giving of thanks going for a few days longer. :) Keep reading to see what was inside! 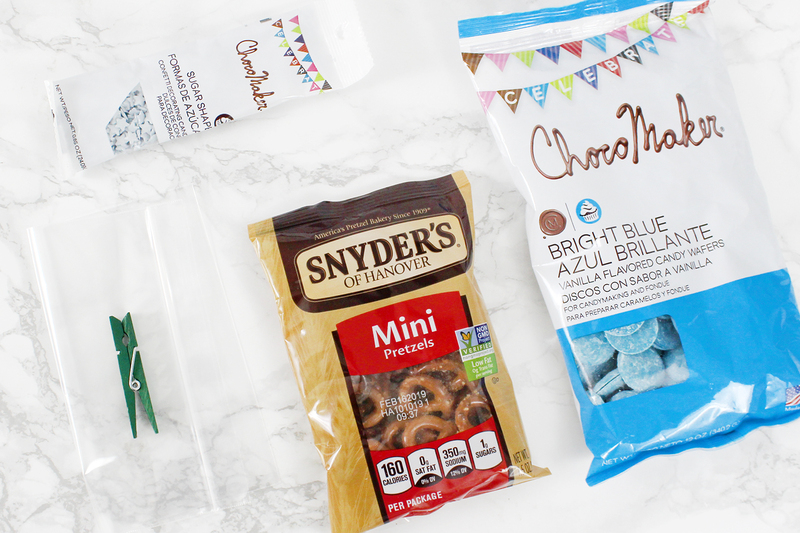 When the box ships you get an email notification that gives you links to get your recipes, shopping list, and playlist. 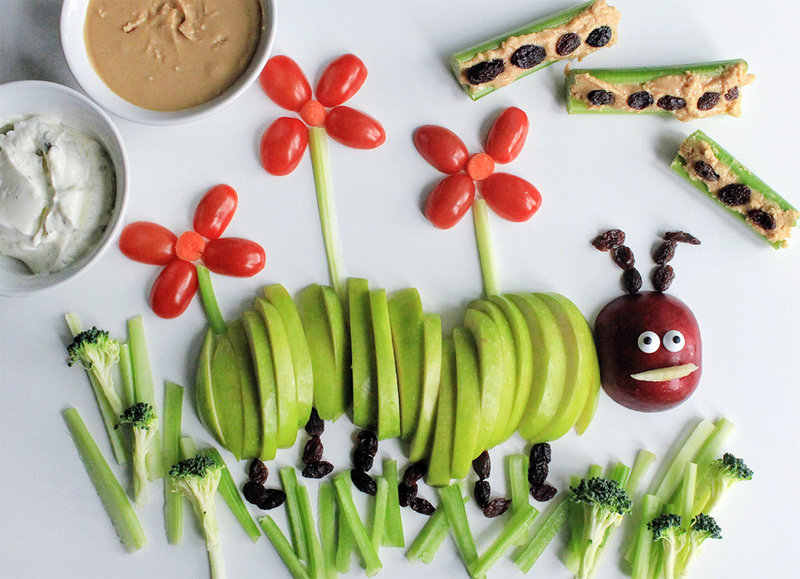 This month's recipe was a very Eric Carle-esque snack: A Very Grateful Caterpillar + a homemade peanut butter recipe. 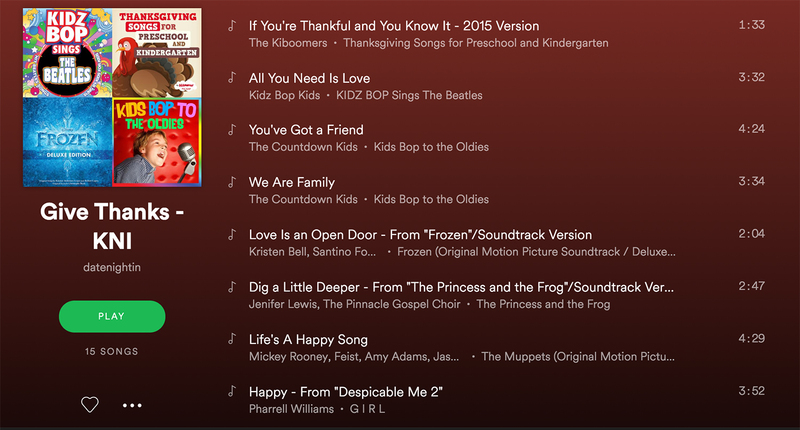 Our playlist was all about love, family, and happiness, and we loved hearing all of the classics along with the newer hits. 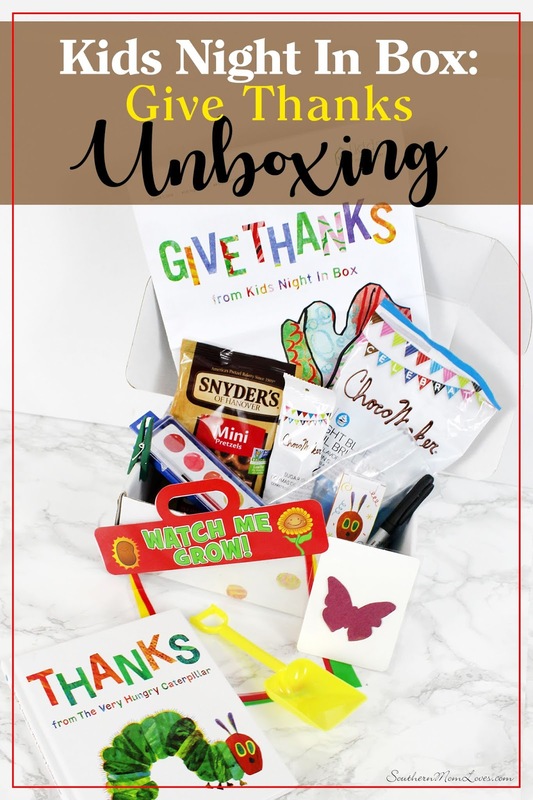 As always, on opening the KNI box you find a magazine telling you all about the box theme and giving you directions for all of the activities, recipes, and extras inside. 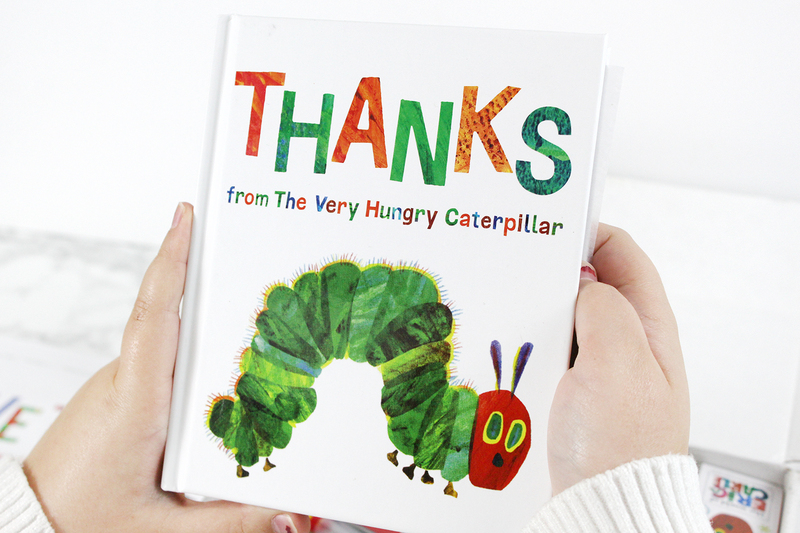 First out was a hardbound book Thanks from The Very Hungry Caterpillar. It's for younger kids and is as cute as you might expect. The first activity was a cool garden-themed set. 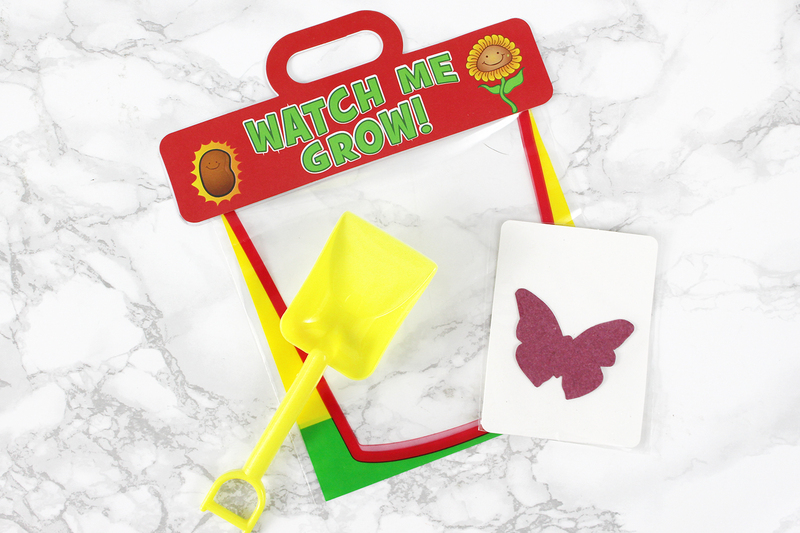 All you need to do is add soil to the clear bag and plant the seed-infused butterfly in it and your child can watch how their flowers grow inside this winter! Such a cool activity and there are additional facts and talking points in the magazine. The next activity was making a yummy Butterfly Gratitude Bag. 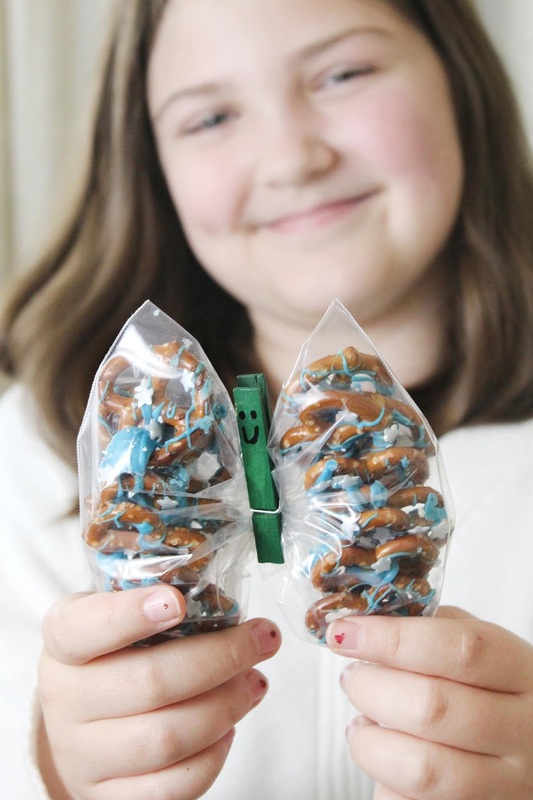 The box came with mini pretzels, blue chocolate melts, star sprinkles, and a baggie and clothespin for the butterfly. 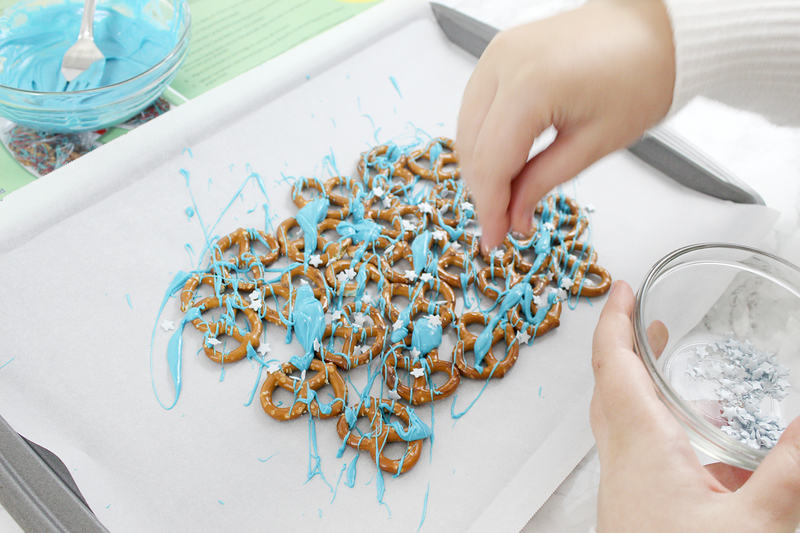 It was an easy recipe to follow and we had fun snacking on delish chocolate pretzels when it was done. The last craft included was art! 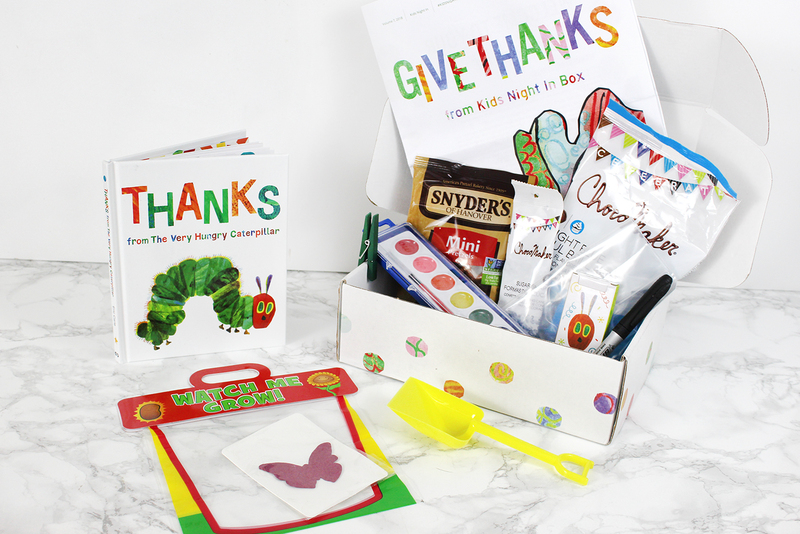 The box included all of the supplies your kids would need to complete the step-by-step art project shown on the front of the box! 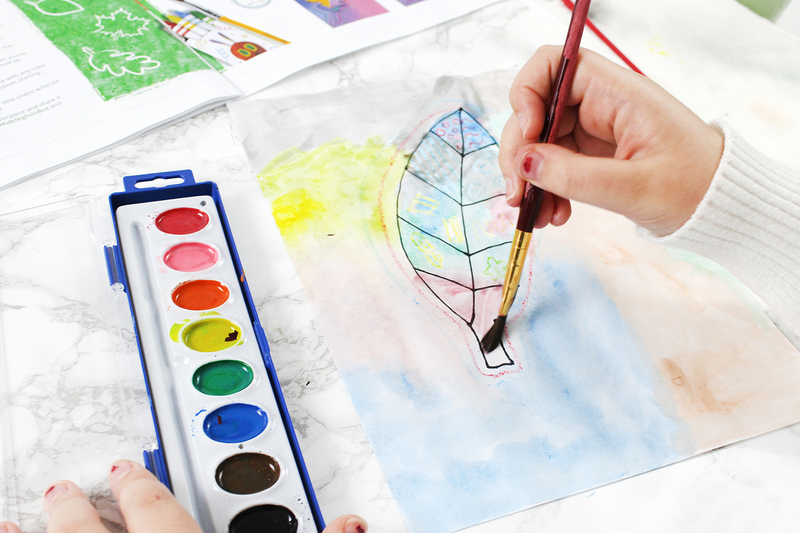 Included was a marker for the outline, crayons to create the resistance drawings, and watercolors to finish the stained glass-like piece. How was your Thanksgiving? 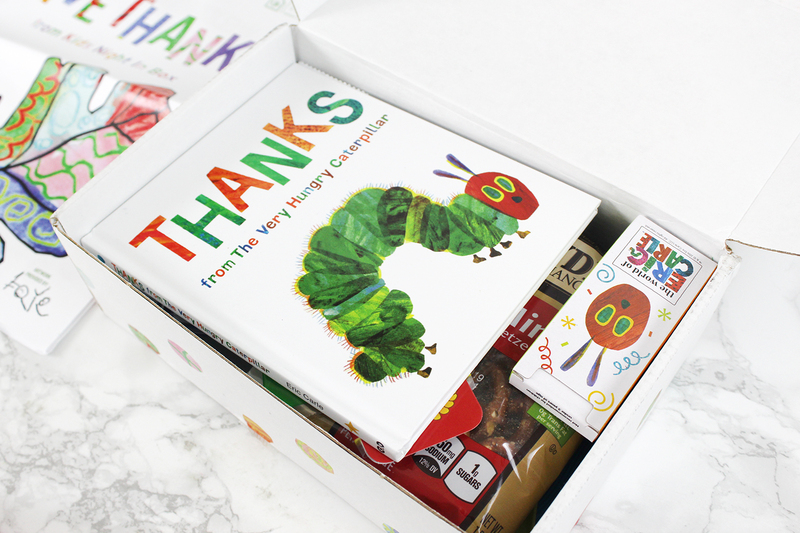 Do you have a kid that would have loved this box? What is your favorite part? I love to read your comments!